Architectural Lighting is an extremely important part of creating interior and exterior environments, and can turn a “so-so” room into a “wow” room. At Deep River, we partner with expert Steve Klein of Klein Lighting. A partnership spanning 30 years, Klein is an important part of the design team and enhances our architecture and interior design with his vast technical knowledge. M Magazine featured our California project in their October edition. 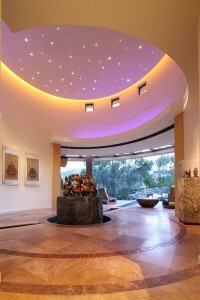 In the article, Klein touches on the 10 Elements of Perfect Lighting, like integration of various technologies to control lighting effects and using light to sculpt and enhance architecture. To see more of our California desert design, explore California. For more projects that utilize interior and exterior lighting, explore Tuscan Residence, Rooftop Condominium and Lake Michigan Residence – Cedar Grove.